Schola Cantorum of Waynesboro and Barren Ridge Vineyards will be hosting ” A Little Wine Music” on Sunday, Aug. 21, at the Barren Ridge Vineyards, 984 Barren Ridge Road, Fishersville. Between the hours of 6 p.m. and 9 p.m. you may drop in for hors d’oeuvres and a complimentary glass of Harmony, an award winning Barren Ridge wine. Punch and coffee will also be served. Entertainment for the event will be Llyn Walker, Wanda Eaves-Taylor and The Boogie Kings with Richard Adams, William Hayes and J.T. Fauber. The event will serve as a fundraiser for Schola Cantorum’s fall concert on Nov. 20 when Beethoven’s Mass in C with a full orchestra will be performed. The cost for this fun-filled evening will be $25 per person. Reservations are limited so please mail your tax-deductible donation by Aug. 1 to: SCHOLA CANTORUM – P.O. Box 253, Waynesboro, Va. 22980. Upon receipt of your payment, the requested number of tickets will be reserved and held for you at the door. Wine tastings will be available and you may purchase award winning Barren Ridge wines to enjoy at home. A portion of the cost will benefit Schola Cantorum. A raffle will be held for a week at a cozy beach cottage in Surf City, N.C. anytime in September, Oct., April or May (excluding holiday weekends.) The winner does not need to be present for the Aug. 21 drawing. Raffle tickets are $10 each, 3 for $25, 5 for $40 or 10 for $85 and may be purchased now through Aug. 21. For any further information or raffle ticket purchases you may call 540.949.6752. 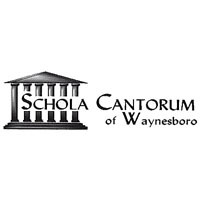 For information about Schola Cantorum, visit www.scholawaynesboro.org.